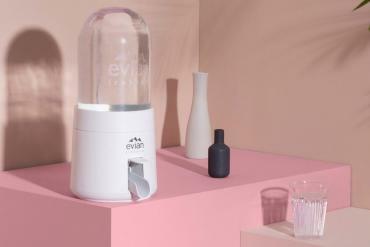 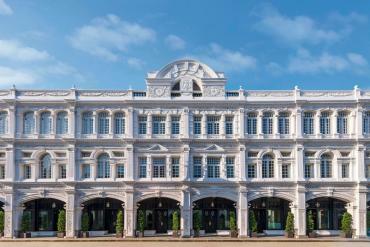 China is getting mighty serious about their fashion statement and indulgence in the best luxury can offer. 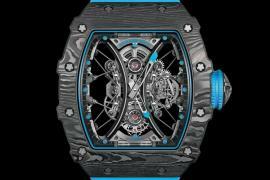 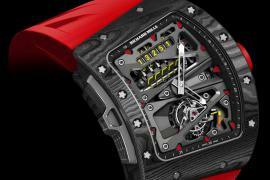 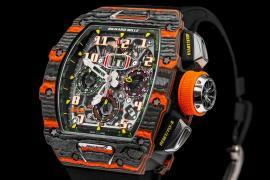 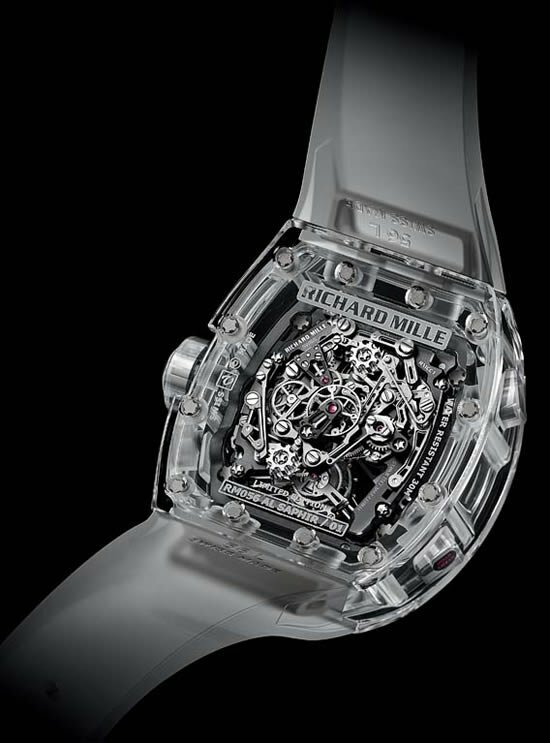 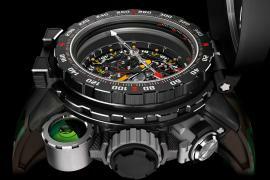 Richard Mille has unveiled a special one-off RM 055 JC watch for charity under the legendary Jachie Chan tag. 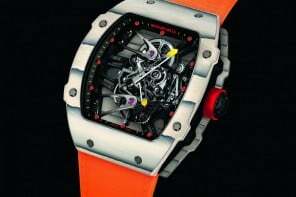 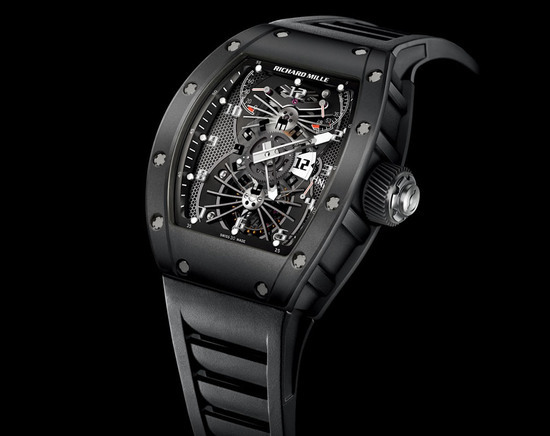 The RM 055 JC was created for Jackie Chan’s Dragons’ Heart Foundation and will be auctioned on September 14 in Beijing. 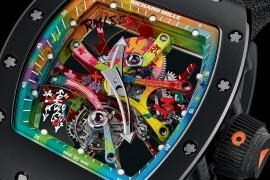 The dial features the logo of the Foundation giving it a very colorful appeal. 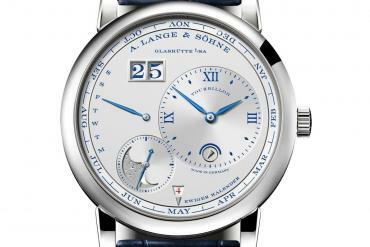 It features a tourbillon based manually-wound movement with the time, power reserve indicator, and torque indicator and is done in 18k white gold with a white rubber strap matched to the tonneau style case. 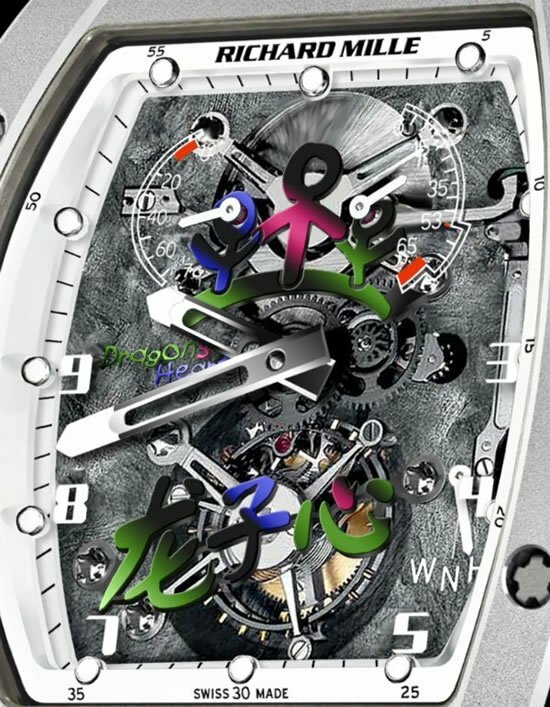 Update – The white gold RM 055 JC created for Jackie Chan’s Dragons’ Heart Foundation fetched about $860,000 at the auction.